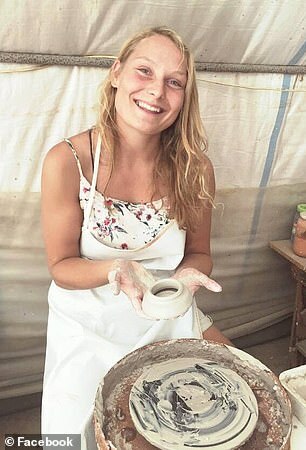 A video showing the beheading of a Scandinavian tourist in Morocco is being widely circulated by gloating आईएसआई fanatics on social media. 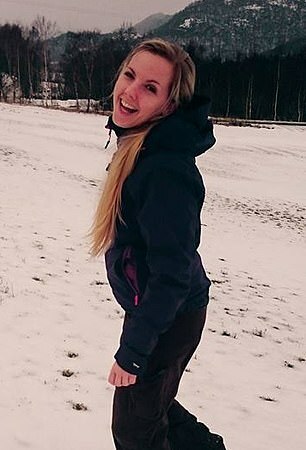 The gruesome footage shows a man using a large knife to sever the head of a woman, believed to be Danish tourist Louisa Vesterager Jespersen, XNUMX, while shouting ‘it’s Allah’s will’. 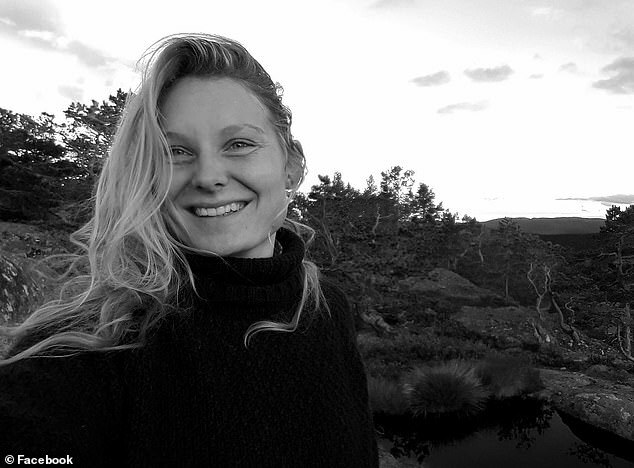 Jespersen was on a month-long hiking holiday in Morocco with Maren Ueland, XNUMX, from Norway. 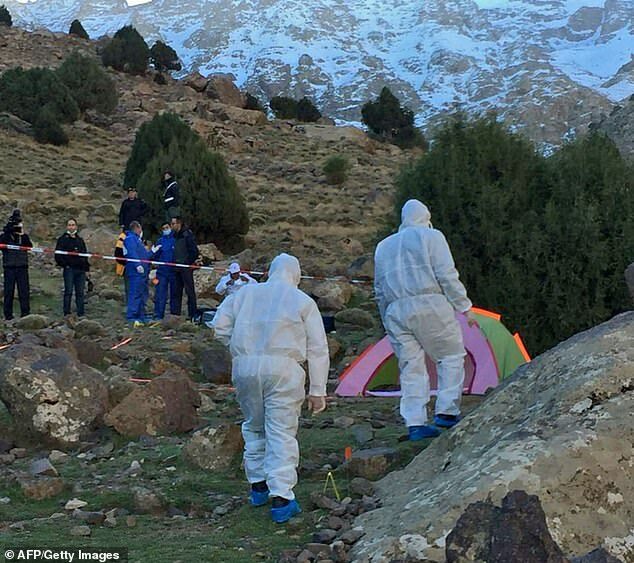 The two friends, who were studying to be outdoor guides at a Norwegian University, were found dead near the village of Imlil in Morocco’s High Atlas mountains on Monday. In the video, the perpetrators can also be heard saying their murders were revenge for air strikes carried out by Western bombing missions in war-torn सिरिया. ‘This is for Syria, here are the heads of your Gods,’ a man can be heard saying, as well as ‘this is in revenge for our brothers in Hajin’. Hajin is a city in eastern Syria that was controlled by ISIS until coalition-backed forces reclaimed it this week. While ISIS has not yet claimed responsibility for the young women’s murders, its supporters have taken to social media to celebrate them. The video has been widely shared on social media, with websites such as Twitter and YouTube working as quickly as possible to remove clips as soon as they appear. 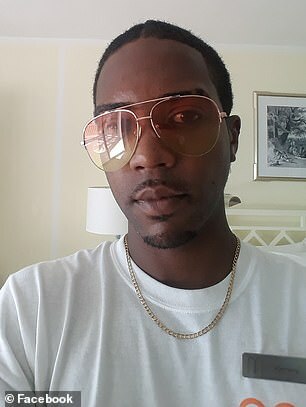 A police source told Reuters that the video appeared to have been shot in a different place from where the bodies were found. Meanwhile, the Danish intelligence service today confirmed its authenticity and said it can be connected to ISIS. The video is in the same style as those previously released by the terrorist group showing the decapitating of blindfolded Western hostages. It is believed to have been shot on a mobile phone. 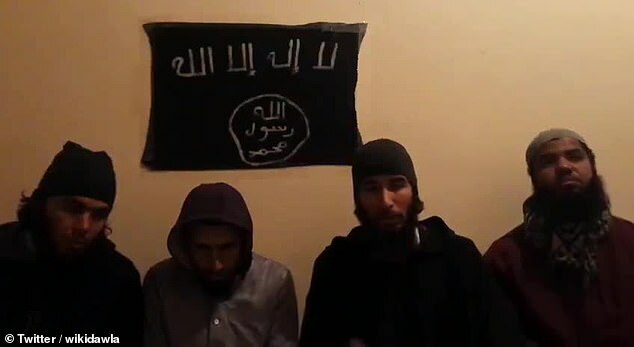 ‘The video and preliminary investigation according to the Moroccan authorities indicate that the killings may be related to the terrorist organisation Islamic State,’ the Danish intelligence service said in a statement. Ms Ueland and Ms Vesterager Jespersen were spotted with three men in Marrakesh before heading to the Atlas mountains to hike. Moroccan police have today arrested three suspects at a bus station in Marrakesh, after a trader alerted authorities when he saw the knives they were carrying. Police boarded the bus and seized four knives, including blades of machete size, as the bus was leaving to travel to the southern seaside town of Agadir. 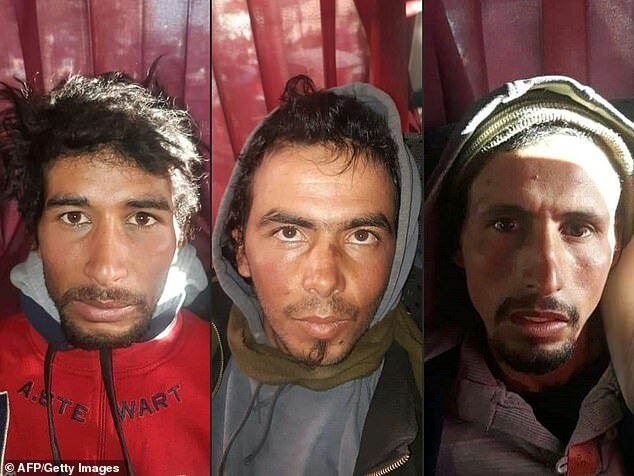 Separate footage has also emerged showing men suspected of carrying out the attack pledging their alliance to ISIS leader Abu Bakr al-Baghdadi.